Deswik participated at the Australian Mine Rehabilitation Conference held in Adelaide between 18th and 20th August. Senior Mining Engineer, Patrick Doig presented a paper titled “A Holistic Approach to Mine Planning”. This paper demonstrated the techniques for integration of production and destination scheduling for planning engineered waste rock dumps and tailing management in order to minimise risk of acid mine drainage. Through planning using a detailed haulage analysis, specifically the incorporation of selective material placement in waste dumps, engineers can run different cases to determine the sensitivities as well as identify where the designs can’t be achieved and modify plans to operating practices to align to a closure strategy. These strategic decisions reduce the chance of the need to make unanticipated tactical decisions and ultimately, reduce liability and risk and increase profitability. A study was conducted to demonstrate selective material placement incorporated within the mine plan to minimize Acid Mine Drainage (AMD), and harmful effects of contaminated material therefore reducing the overall rehabilitation liability and cost of the operation, increasing profits and the NPV. 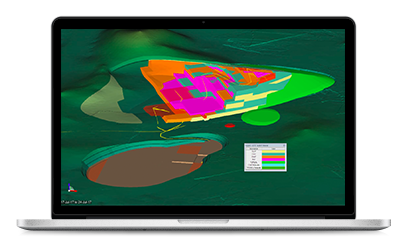 The case study shows that it is possible to create a dynamic and flexible mine plan using cutting edge software, like that provided by Deswik to create an optimal mine plan and reduce costs. 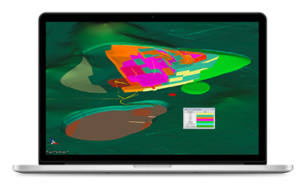 Additionally, detailed outputs can be easily generated including detailed haulage estimates and costs, staged and final landform shapes and location and mineralogical makeup of the waste rock dump. These processes can all be completed through an integrated mine planning processes instead of being and afterthought or process after the mine plan is created. Below is a copy of Patrick Doig’s presentation at the 2015 Australian Mine Rehabilitation Conference. For more information on the approach underpinning this research, contact us.